There are few feelings in the world that are as free as paragliding. Launching yourself into the air from a cliff or mountain with only a glider strapped to your body truly gives you the feeling that you are flying. And in the simplest of terms, you are flying since there is really nothing between you and the ground except several hundred meters of fresh air. There is a calmness and completeness that comes with being fully exposed to nature and completely surrounded by beautiful views. Many paragliders often speak of the mental benefits that they experience when paragliding, similar to that of meditation. It is very quiet and can last for hours, depending on where you are and your preferences. 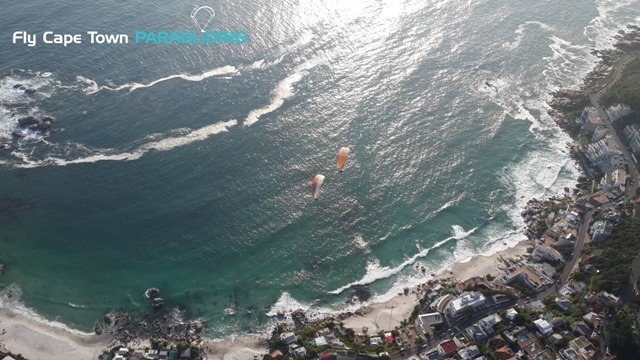 That can be a lot of time alone with ones thoughts for some, but many like the peace and tranquility that come with paragliding. There is also a great sense of accomplishment that comes with completing our paragliding courses. In the early stages, flights will be shorter and there will be a lot of practice taking off and landing. This may involve frequent trips up hills and mountains and short glides down. However, once you get the hang of everything, there are many wide open spaces to paraglide that will allow you time to contemplate your place in the universe, or what you will have for dinner, whichever is most important to you at the time. While paragliding is relatively simple in both theory and practice, there is more to it than just taking off. Learning proper safety techniques and procedures should always be a priority, but you will also learn things related to meteorology, air law and the theory of flight itself. When learning to paraglide, you will often be able to borrow paragliding equipment from the company you use to obtain your certification. During this time, you will need to familiarize yourself with how everything works and what items best fit your needs. Once you have decided that you will paraglide often, you will want to invest in your own glider and safety equipment. You will spend a lot of time watching and predicting the weather once you learn to paraglide. This is because your experience in flight will depend heavily on weather, which will dictate whether or not you should even go up at all. Wind is very important. Keep in mind, you do not necessarily have to take off for flight, but once you do, you must come down. Therefore, it is best to understand what you will be getting yourself into from a weather standpoint. Once you learn to paraglide, there are many options on how to spend your time. Many people become addicted to the sport, and clubs abound across the world. For art enthusiasts, video and still cameras offer a great opportunity to chronicle your experiences when you paraglide. You will be free to go out and see the world with a birds eye view.